I don't want to write that sentence, but: there, I said it. We always knew this day might come, always knew that the s-word (seizures) might once again make an uninvited appearance at our party. 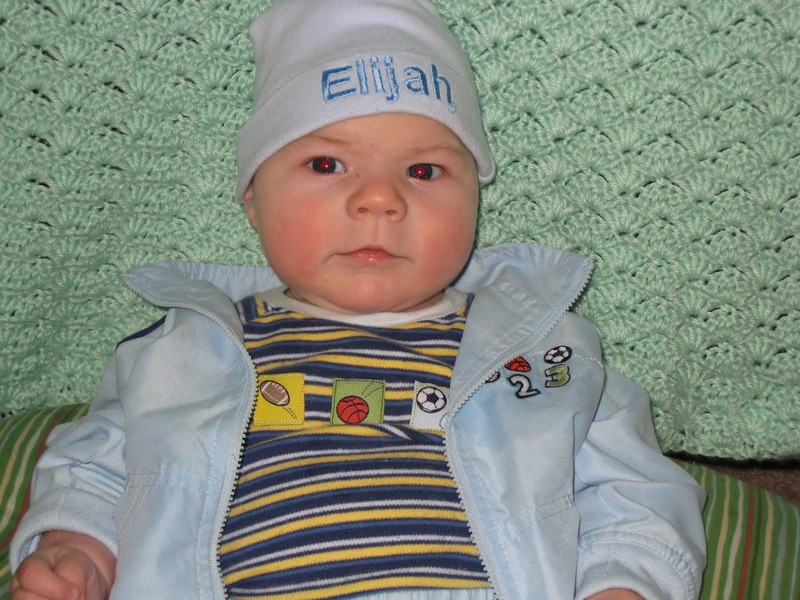 Elijah had seizures after his birth, for two days straight. His little foot and hand, twitching rhythmically. I was at another hospital - recovering - as Andy sat and watched the monitors blip as our new little baby struggled with the after effects of his birth - Elijah's brain cells dying due to the oxygen deprivation. Andy, calling me on the phone, crying: "the seizures just won't stop." And me, in my ever naive optimism and separation from the situation: "Andy. It's going to me okay." Elijah was in a phenobarbital induced coma for his first week and on seizure meds for his first four months. And then we were able to wean him off of the meds. And he's been seizure free for 9 years. Seizures have always been on the back of our mind, but we got more comfortable with time. It didn't consume our thoughts like it once did. We hoped they wouldn't visit again. We were told that every day that passed without seizures, the better the chances that they wouldn't happen again. But, that since Elijah had them once, he'd always be at more risk. Elijah had a seizure right before he got on the bus. It lasted less than a minute (probably a 30 second eternity), but it scared us. We visited Elijah's neurologist and he gave us two options: medicate or don't medicate. He said it was really up to us. 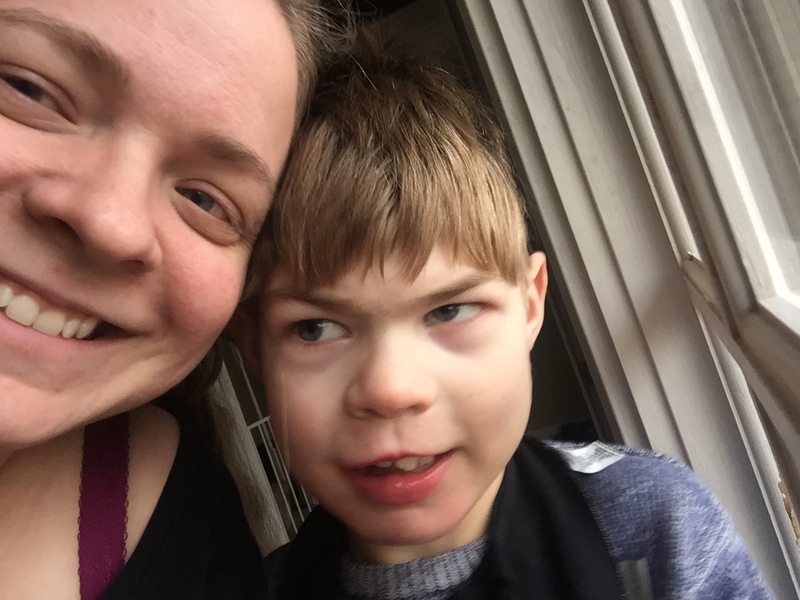 Since it was just one seizure (they consider the birth seizures a different entity), they don't usually recommend medicating. But, if it made us more comfortable, we could start him on seizure meds. We chose not to medicate. We got a call from Elijah's school. He had a seizure that lasted just under five minutes. Andy and I both rushed to the school from our separate locations. Elijah was awake and acting like himself by the time we got there. We took him home and contacted our neurologist (seizures don't always constitute an emergency room visit if they've stopped and you have a plan in place). I played t-ball in the yard with Elijah. We had supper. And then Elijah had another seizure, his eyes fixed to the right and pulsating, his body rigid. We were given two options again: Go pick up meds from our local pharmacy and start him on meds. Or take him in to the hospital to be monitored. Elijah spent that night in the hospital. We got into a new normal. The seizures hadn't seemed to bother Elijah. I was sitting in the parking lot of a grocery store ready to tackle my list, when I got a call telling me that Elijah was okay, but that he had another seizure, that it was over five minutes and the paramedics were on their way. I rushed to Elijah's school. Let me tell you this: Nothing can prepare you for pulling up to your child's school, seeing an ambulance, and knowing that ambulance is there for your child. The somber looks on the school secretaries faces, the principal and everyone I met in the hall was sobering. Elijah was surrounded by his support staff, paramedics, and a police officer when I stepped into his classroom. And I cried. They were all so kind. It was just too much for a mama's heart to take. I went to get Elijah out of bed. He sat in his bed for a couple of minutes before standing up, which isn't unusual. So, in my tired state, I sat down too and closed my eyes. And then I heard Elijah swallowing audibly. I glanced over and sure enough: another seizure. Sitting up in his bed, swallowing over and over, his eyes fixed to the right. Elijah has been sick for the past week and that has probably lowered his seizure threshold. And now it's been over a year that the S-word came to be a part of our lives. We're in a place where it doesn't consume our constant thoughts all of the time. It'll always be a worry, but it's just a part of Elijah's story. It's just one more diagnosis to add to the list.